Happy President Day Weekend ES-ers!!! Our Editor in Chief, Kat Thomas recently wrote an article for the Santa Monica Observer entitled A Tale of Two Cities: Where to Go with Cannabis Tourism in Los Angeles and Las Vegas where she interviewed Duke Rodriguez of Ultra Health (the lead sponsor of the Las Vegas Cannabis Cup), Krista Whitley of Social Media Unicorn, and Brannon Zimbelman of the Travel Joint. --In November of 2016, both Prop 64 and Prop 2 passed legalizing recreational marijuana in the states of California and Nevada. --By the end of 2016 Los Angeles welcomed 47.3 million visitors to its sunny locale while Las Vegas had 42.9 million flock to Las Vegas. A two months ago on January 1st, 2107, a man in black tactical-style gear and tarpaulins (one with a peace sign, one with a heart) altered the iconic Hollywood sign to read HollyWEED. One would think cities that welcome more tourists per year than the population of Canada would be chomping at the bit to become one of the country's cannabis destination. But marijuana tourism infrastructure for the sixth largest economy in the world and Sin City takes much longer to implement than hanging a tarp over a sign. As SoCal-Nevada tenderly enters the world of recreational marijuana we decided to interview a few cannabis experts on how two of the largest tourist cities in the United States can implement a strong visitor strategy. 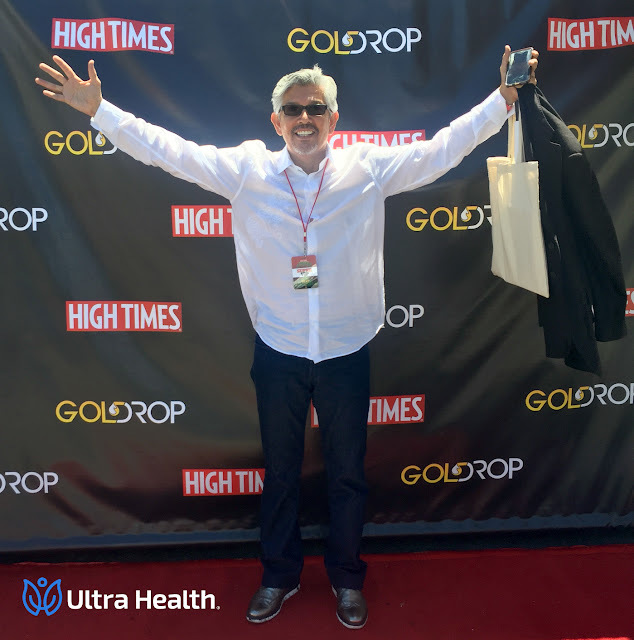 Duke Rodriguez is the CEO and President of Ultra Health, which focuses on turnkey solutions provider for the specialty medical cannabis industry. Ultra Health currently has seven dispensary locations and one cultivation site in New Mexico, and is establishing more locations in Nevada. In Las Vegas, Ultra Health is partnering with HIGH TIMES for the U.S. Las Vegas Cannabis Cup on March 4 and 5 hosted at the Moapa River Indian Reservation. The event, will kick off HIGH TIMES' 2017 Live & Legal Cannabis Experience Tour and will feature a live cannabis grow room, live trimming, a cannabis chef cooking competition, edibles seminars, product launches, musical acts and industry speakers. Krista Whitley is the CEO of Social Media Unicorn is a cannabis brand exclusive full service marketing and sale agency that creates effective consumer experiences. 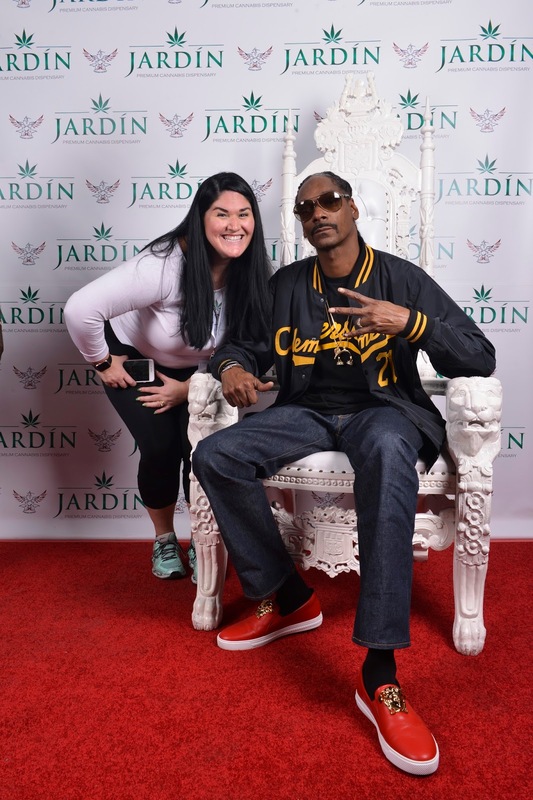 With unicorns on the ground in Las Vegas, Denver, Seattle, Los Angeles, and Phoenix her company encompasses all aspects of marijuana branding, public relations, influence marketing, celebrity appearances, digital marketing, social media. Whitley's clients include Merry Jane, a cannabis media organization created by Snoop Dogg to share cannabis culture, Indus Holding Co, California's leading cannabis producer and distributor, and Tahoe Hydroponics, Nevada's award-winning cannabis cultivator located on the shore of Lake Tahoe. Brannon Zimbelman is the CEO of The Travel Joint, the world's only cannabis travel and leisure site with 420-rentals, hotels, flights, dispensaries, tours, and events. The Travel Joint has become the Airbnb of the cannabis managing over 30 properties in states such as Colorado, Nevada, Washington, and Oregon along with crafting higher-end experiences such as a marijuana friendly cowboy ranch and roller skating disco parties in Las Vegas. WHERE DO YOU SEE THE FUTURE OF RECREATIONAL MARIJUANA GOING WITH ITS LEGALIZATION IN CALIFORNIA? Brannon Zimbelman of The Travel Joint: We think that California will be one of the largest Cannabis Tourism markets second only to Las Vegas. Duke Rodriguez of Ultra Health: I generally like to avoid the reference of recreational use because it gives it a flippant kind of careless activity. There is no recreational alcohol. I do believe there is social use, which plays into the World Health Organization's definition of health as physical, mental and social wellbeing. If cannabis helps people of adult age perform better and gives them social competence, then that is great for them and their communities. The cannabis adult use culture experience really started its path in Colorado and was eventually passed on to the state of Washington. Ultimately, it will be passed on to California where it will become the standard bearer of how cannabis will be treated in the country. Krista Whitley of Social Media Unicorn: California is an interesting market to watch because they are the largest unregulated medical marijuana market in the United States. I think the greatest opportunity is for them to implement some of the best practices of established regulated medical marijuana markets as quickly as possible, so that they can build on those as they roll out regulated adult use throughout the state. As the world's sixth largest economy it is not an easy challenge to implement the regulations that will keep all cannabis consumers safe while maintaining the authentic cannabis culture that California is known for. I see that by 2019 California will be a thriving cannabis economy, with the same innovative products cannabis consumers have come to love and additional safeguards that will ensure a healthy cannabis experience for everyone. Brannon Zimbelman: We have extensive 420 rental properties around the country. When cannabis became recreationally legal in California we began focusing our travel destination energy in Los Angeles and Napa Valley. In the coming months we're launching two properties in Napa with 24 hour concierge service. Duke Rodriguez: The California model will result in how the country will approach cannabis not only from a medical standpoint but from a social standpoint. California will probably be the first state to more progressively look at the open consumption of cannabis and will have more definitive standards in areas we have not defined well previously. Packaging, for example. California will have to make sure it will not advocate for packaging that encourages underage individuals from buying cannabis and seeing it. Colorado started with the gummy bears, and it was cute but they started to realize it had complications. We don't need cannabis containers looking like PEZ dispensers to have a successful social program. California also has the opportunity to set up a model for the rest of the country to emulate because the state can learn from missteps Colorado has made in the past. Because of California's extensive industry, it will bring out more sophisticated and elegant packaging, designs, and products. WHERE DO YOU SEE THE FUTURE OF RECREATIONAL MARIJUANA GOING WITH ITS LEGALIZATION IN NEVADA? Cannabis Cup, being the first ever adult use Cannabis Cup as well as the first to be hosted by a Tribal Nation. Las Vegas has clearly established itself as an entertainment center, moving beyond adult entertainment to full family entertainment. I feel that the largest "California dispensary" is likely to be located in Las Vegas, and a good number of Californians will be securing their cannabis tourism experience in Las Vegas. In many ways due to proximity, Nevada and particularly Las Vegas will be an extension of the California cannabis tourism experience. Krista Whitley: Nevada is home for me, so I know that I'm biased. Nevada has done an excellent job putting an effective regulated medical marijuana program in place that seeks to serve its' patients. Of course, the recent MJ Freeway technology roadblock was a setback, but overall the state leadership, industry leadership, and patient advocates have worked incredibly hard to meet the needs of all medical marijuana patients. I anticipate that adult use recreational marijuana will be launched to dispensaries in Nevada by the end of summer 2017, serving the over 42 million visitors each year and residents that include the medical marijuana patients that continue to grow. Brannon Zimbelman: When we started the Travel Joint 4 years ago we were going to setup our offices in Colorado, but we ultimately decided on Las Vegas because we knew when recreational use broke in Nevada our city was going to be the ultimate cannabis destination location. Duke Rodriguez: With Las Vegas' 43 million visitors each year, it is expected and will definitely meet the call of becoming a tourism capital of cannabis. Nevada also has the advantage of being geographically closer to states without adult use or any cannabis legislation at all. This will give the state and especially the city of Las Vegas the upper hand in attracting consumers from Utah, Idaho, Arizona and even New Mexico. California is already land locked by other states with cannabis legislation. Krista Whitley: Specialty cannabis products will thrive in the recreational marijuana market in Nevada for the same reasons that unique products have always thrived in Las Vegas: tourists love splurging on something new that they can't get anywhere else. 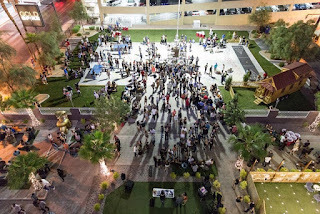 It doesn't matter if it's a $10,000 table at a fancy nightclub with bottle service or the $5000 Fleur Burger at Fleur Las Vegas, visitors in Las Vegas are looking for once in a lifetime opportunities to splurge and premium cannabis products will find their opportunity in this fabulous market. Duke Rodriguez: The title of the "Cannabis Capital" will be determined within the next 12 and 24 months as the industry rapidly expands. WHAT HINDRANCES DO YOU SEE IN REGARDS TO RECREATIONAL MARIJUANA? Duke Rodriguez: Denver, Colorado, is the first city in the nation to pass legislation on open consumption. These concepts that seemed radical in the past will become the common theme. I would advise most of these communities that they need to be open to trying some of these new festivals and environments for cannabis to be experienced. By restricting communities and not being open to the possibilities, these events will go to providers who can do it under positive conditions including Tribal Nations. Public officials and members of the public should take the time to go to the U.S. Las Vegas Cannabis Cup or other cannabis centric events to experience the environment and find out how safe and secure it really is. It's not going to turn into a drug laden, Woodstock kind of experience. There won't be mad hysteria in the streets or Reefer Madness. There are people with education and sophistication at these events, and most newcomers will learn it is a very professionally safe, musical event of education, discovery and social interaction. Krista Whitley: California has such a unique cannabis culture that embraces cannabis collectives, homemade cannabis products, and cultivators who have been working in the shadows for decades. I love the authenticity and passion, but there is a great opportunity for the California regulators to connect with these entrepreneurs to ensure that regulation protects the consumer without squashing the innovation that has thrived in the cannabis community. WHAT PRECEDENTS HAVE OTHER STATES SET FOR CALIFORNIA AND NEVADA AS IT NAVIGATES ITSELF INTO THE WORLD OF CANNA-TOURISM? Duke Rodriguez: Other states have select areas of tourism, and that translates to cannabis too. For example, Colorado's tourism is heavily based around skiing. Washington's is based on outdoor activities. California is all of that plus more. It will have cannabis tourism along the coastal areas, in wine country, around major metropolitans like Los Angeles, San Diego and San Francisco. Krista Whitley: Colorado, Washington, Oregon, and Nevada all offer several established precedents for California regulators to follow. From Nevada's seed to sale zero loss regulations that follow cannabis from cultivation to dispensary to Washington's recreational shops, California faces a unique opportunity to learn from what has worked in each of these markets to ensure the safety of all cannabis consumers. Brannon Zimbelman: We manage a cannabis cowboy ranch in Colorado. At that property, we work with local dispensaries to bring in five star chefs who cook with marijuana. It's about enhancing your travel experience, not eclipsing it. When you got on a trip to Napa you don't spend the whole time drunk. It's the same thing with cannabis. Duke Rodriguez: Tourism is so big in California it is near impossible not to expect adult use cannabis to have a major impact in the state. Cannabis, if it is properly introduced, doesn't have to be viewed as a counter to the wine, alcohol or theme park industries. It's a clean industry that can coexist and enhance the experience of those activities. Colorado, being the first state to adopt broad legalization, seriously confirmed the existence and emergence of the green rush. California and Nevada's opportunities are more broad than other states because they will be competing with each other – more competition breeds more innovation. California and Nevada have very high populations as well. These states are likely to take that proven green rush, and turn it into a statewide, regional green stampede of tourism. WHAT SUGGESTIONS WOULD YOU OFFER TO THE CITY OF LOS ANGELES TO BECOME A MAJOR PLAYER IN THE WORLD OF CANNABIS Tourism? Duke Rodriguez: There is no question that Los Angeles is positioned to be the single largest cannabis market in the United States, if not the world. The city has every entertainment option known to consumers today. Now, it will expand that offering with adult use cannabis tourism. The only advice I would give Los Angeles is to put no bounds on the discovery of new and innovative cannabis uses in its communities and with its visitors is at this early stage. Los Angeles has the opportunity to embrace and welcome cannabis and build off its already strong foothold in the entertainment industry. I look forward to having events like the U.S. Las Vegas Cannabis Cup, even some the size of Coachella, on Tribal lands in California also. Non Tribal entities will need to be willing to provide an atmosphere as receptive and experience of positive as the Tribes are offering. WHAT SUGGESTIONS WOULD YOU OFFER TO THE CITY OF LAS VEGAS TO BECOME A MAJOR PLAYER IN THE WORLD OF CANNABIS TOURSIM? Duke Rodriguez: Las Vegas manages to continually raise the standards for entertainment. The Wynn Hotel just announced a project which will include a major outdoor waterpark. The city has just acquired a new hockey team, and it is highly probable the Oakland Raiders will become the Las Vegas Raiders. And next month Las Vegas is hosting the first ever adult use Cannabis Cup hosted on Native land. I would recommend Las Vegas to double the pace and accelerate their adoption to compete with their neighboring state, and to keep the ball rolling with these adult use events to edge out the competition in Los Angeles and other cities. Another example is in Las Vegas, open consumption of alcohol is allowed on The Strip and the downtown areas. Now these communities have to answer the question will we allow the open consumption of Cannabis? I think the public is ready for it but the regulators have to accept it. WHAT DO YOU SEE THE OVERALL FUTURE OF MARIJUANA TOURISM PROGRESSING? Krista Whitley: Coming from Las Vegas I have seen what Sin City does better than anywhere else in the world: create themed experiences. Not everyone is a Bellagio person, but if that isn't a fit there is New York New York or MGM down the street. Embracing the different experiences that a cannabis consumer would want to have with thoughtful regulation will build a foundation for a thriving cannabis tourism experience. Supporting the small businesses and cannabis community leaders as they create businesses and organizations who will be providing these unique cannabis consumer experiences will be key to success. Duke Rodriguez: Every state in the country is engaged in tourism, but no two states are engaged at the level of California and Nevada. Whatever these states choose to do will affect cities like Santa Monica all the way to Detroit and even Miami. Jumping to immediate declaration of activities that won't be allowed may prohibit the emergence of interest and drive consumers to other locations. For instance, if Los Angeles becomes overly restrictive, and Las Vegas becomes less restrictive, consumers will drive demand to Las Vegas. For any of these communities to be successful, there's going to be some trial and error as well as communication with authorities. Brannon Zimbelman: A lot of stuff is going to change. We plan to just grow at the industry grows. We want to do everything right with what we can. We take every single customer from start to finish and make sure they have a fantastic travel experience. As we expand we want to be the best travel site, not the best cannabis travel site. Duke Rodriguez: In regards to the U.S. Las Vegas Cannabis Cup, it has required a little bit of dialogue with the state agencies as to what the existing licensees will be allowed to do. There will need to be openness to find out how we go into these areas that have not previously had a need to be defined. The U.S. Las Vegas Cannabis Cup is a hugely important stepping stone in elevating all adult use cannabis tourism, but has a special impact on the city of Las Vegas. While the next few years play out, we will begin to see both Las Vegas and Los Angeles in particular grab this consumer-driven cannabis market by the horns and provide the already existing population of social cannabis users a sense of wellness and entertainment that has yet to be discovered here in the United States. SM Observer Article: Will You Be My Valentine? Perfect Gifts for Your Honey, Your Sweetie, Or Just 'Cause You're You! Happy early Valentine's Day ES-ers!!! Our Editor in Chief, Kat Thomas recently wrote an article for the Santa Monica Observer entitled Will You Be My Valentine? Perfect Gifts for Your Honey, Your Sweetie, Or Just 'Cause You're You! Will You Be My Valentine? 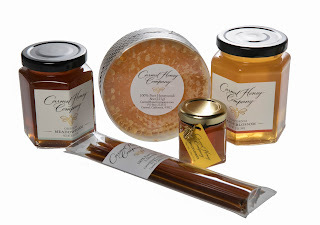 Perfect Gifts for your Honey, Sweetie, or Just 'Cause You're You! In case you missed all the decorations that showed up the day after Christmas, Valentine's Day is on Tuesday! And it's time to celebrate with that special someone whether it be a spouse, significant other, or yourself! So here's some ways to indulge yourself right this holiday with healthy sweets, do-gooder treats, and furry moments of being discreet! With a tagline of "bringing vintage glamour to the modern world." 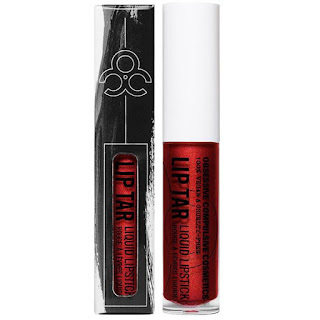 Velvet 59 looks to conquer the do-gooder makeup industry! Their cosmetics are Vegan, Gluten Free, Paraben Free, and Cruelty Free so you can have your luxurious beauty and feel good about it! 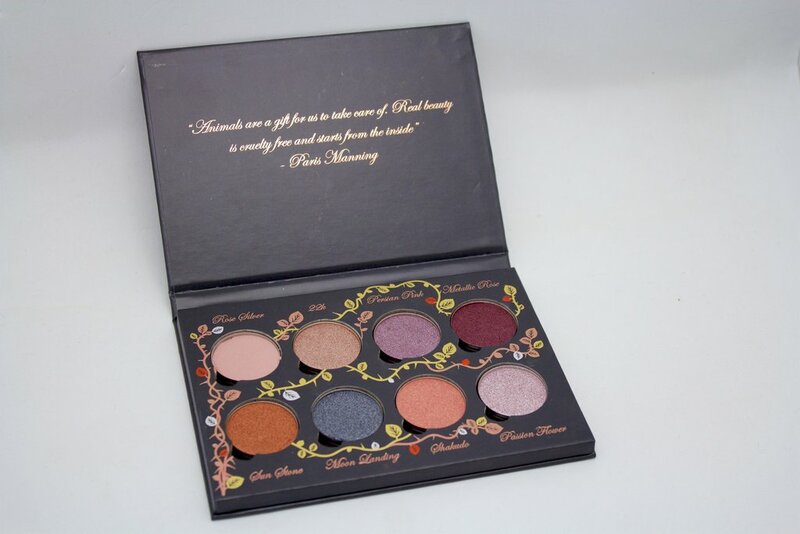 Our favorite go-to beauty item of the moment is their Rose Metals Palette. 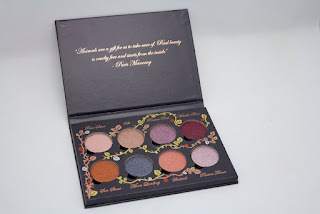 This hybrid makeup palette includes options for eyeshadow, blush, and face highlighter with a result that's totes luxe! With highly pigmented metal shades such as Persian Pink, 22K Gold, and Moon Landing it's the perfect piece for adding highlight, contour, and shimmer to any Whole Foods Lovin' Beauty! $45.00 https://velvet59. Edible Skinny was lucky enough to spend our New Year’s breakfast at the Ritz-Carlton Coconut Grove! 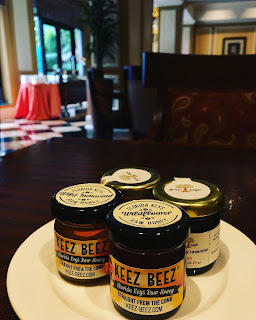 While dining there we discovered the scrumptious jams of Gables Delight, a local Coral Gables based jam company. With flavor delights from Strawberry Jasmine to Guava Habanero to Blueberry Lavender it was quite the whimsical New Year jam discovery. 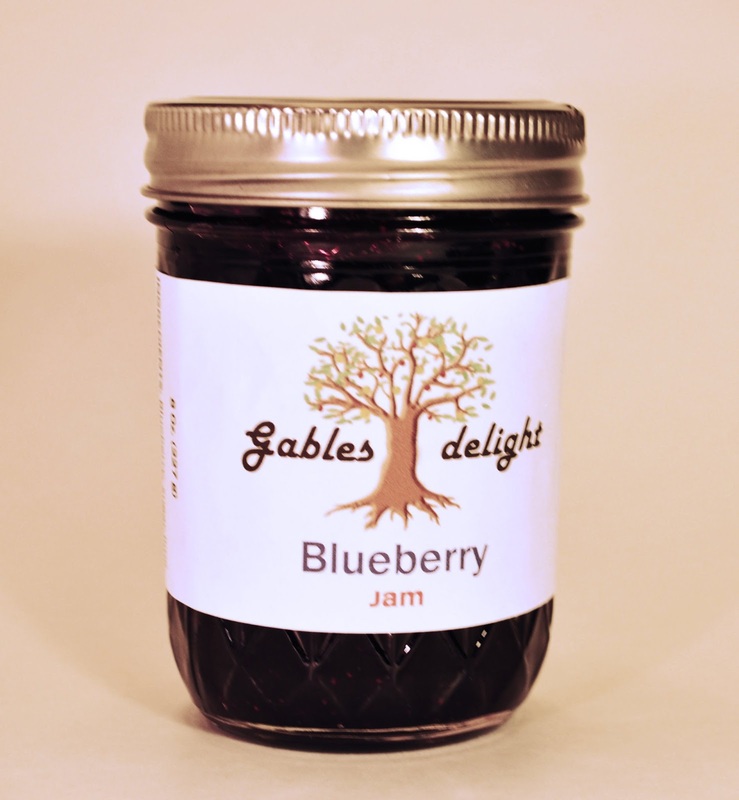 Gables Delight is all natural, made with no artificial flavors or colors. Founder Almudena Gudiel grew up in France where she learned to make jams at a young age. Almudena later received a culinary degree in Florida and proceeded to work in top restaurants in Miami before starting her jam business. And she's delightfully good at her job, as each of the flavors is mischievous movement in your mouth! So if you’re looking for Floridian whimsy in a jar make sure to wish for a pot of Gables Delight jam! Here’s to life being delicious and all your jams be those of whimsy!